Cologne - Contrasting early-season fortunes aside, the top four remains the holy grail for Borussia Mönchengladbach and VfL Wolfsburg ahead of their Matchday 8 meeting at Borussia Park on Saturday afternoon. The Wolves are already right in the mix for the automatic UEFA Champions League qualification places in fourth, while 14th-in-the-table Gladbach appear to be showing the green shoots of recovery following a dreadful start to the campaign. In some ways the two sides set themselves up for an almighty fall after exceeding all expectations in 2014/15. Wolfsburg finished runners-up to 24-time Bundesliga champions FC Bayern München and lifted the DFB Cup. The Foals, only five points further back in third, secured Champions League group stage football for the first time in their history. Notable individual performances inevitably attracted interest from elsewhere as Max Kruse swapped Gladbach for Wolfsburg, Christoph Kramer returned to parent club Bayer 04 Leverkusen and Wolfsburg duo Kevin De Bruyne and Ivan Perisic moved abroad. What should have been a summer of consolidation in both camps became a period of mild transition. 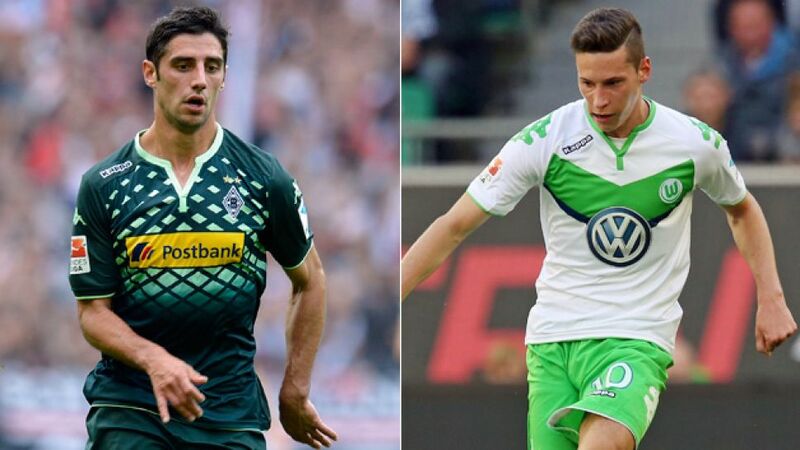 On paper, Wolfsburg have adapted to the situation and accommodated fresh faces such as Dante and Julian Draxler the better of the two. While their trademark attacking fluidity has often been lacking, the Wolves’ 12-point return from seven matches is a tally bettered only by Bundesliga leaders Bayern, resurgent Borussia Dortmund and improving FC Schalke 04. Gladbach, by contrast, had plummeted to the foot of the Bundesliga standings until recently, after making an unwanted club record five-match losing start to the season. Lucien Favre’s unforeseen resignation followed, but the gloom has since been lifted thanks to a pair of morale-boosting wins under caretaker boss Andre Schubert, previously in charge of the Under-23s. Testament to Schubert’s steadying hand, Gladbach can close the gap on fourth-placed Wolfsburg to just three points with victory this weekend. The Foals are unbeaten at home in their last five against Wolfsburg, although - like Saturday’s visitors - will have the after-effects of a midweek Champions League group game to contend with. The added workload of European football brings its own set of challenges, but following some trying times on and off the field in recent months, it is one thing neither Gladbach nor Wolfsburg would change for the world. That goes for now, next season and beyond.